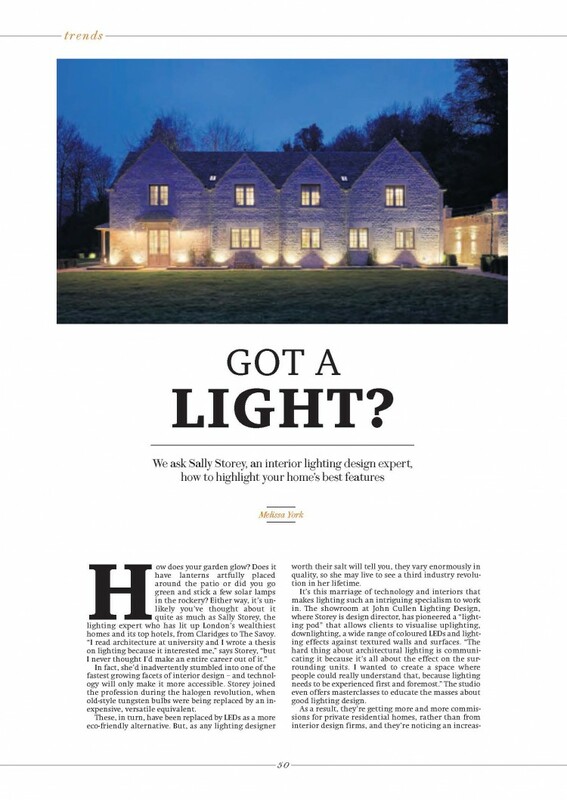 Design Director Sally Storey answers questions from City AM’s Bespoke Living in this residential lighting feature entitled “Got a Light?”. Sally discusses how to highlight your home’s best features. Take a look at the full article here. To see the full magazine, visit their website.